Submitted by cosamo_admin on Friday, July 26, 2013 - 15:15. Idan Chen Beauty Group of NYC gives viewers a firsthand look of the wonders and benefits of CoSaMo Professional Love Your Color Blonde. This semi-permanent color gently blends away gray by coating the hair which adds shine and volume. See the extraordinary difference as Idan Chen uses the Blonde on his client. Say goodbye to gray hair and hello to shiny, healthy, blonde hair! Purple Hue From Semi Permanent Dye?! Submitted by cosamo_admin on Friday, July 12, 2013 - 15:30. Joann, Brooklyn NYC, "I colored my hair the other day, and after a couple of shampoos, my granddaughter told me that my hair was purple. At first, I thought she was playing around with me, but after looking in the mirror I realized MY HAIR IS PURPLE. What factors could have affected this? What can I do to avoid this problem? Please help!" There are a few different reasons why your hair might look closer to an eggplant than you may like. Purplish hues tells me it’s a form of discoloration. This generally happens when one’s hair is over porous or due to resistant gray, not taking the color fully but only taking the base fully. People tend to find this more often when they are over 50% gray and using a semi permanent hair color. If you use the hot oil treatment, you should let your scalp rest for 24-48 hours before trying any new colors. Best way to negate purple in hair color is to use another color with a golden base. If you take a look at the color wheel, purple and gold are opposite colors so they will negate each other and save you from having your granddaughter pointing and laughing at you! (for your purple hair at least :)) I hope this information was helpful. 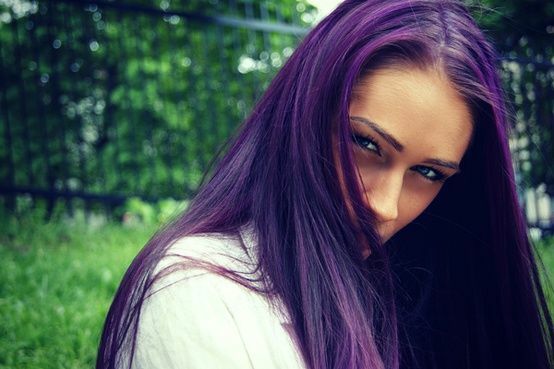 Read more about Purple Hue From Semi Permanent Dye?! 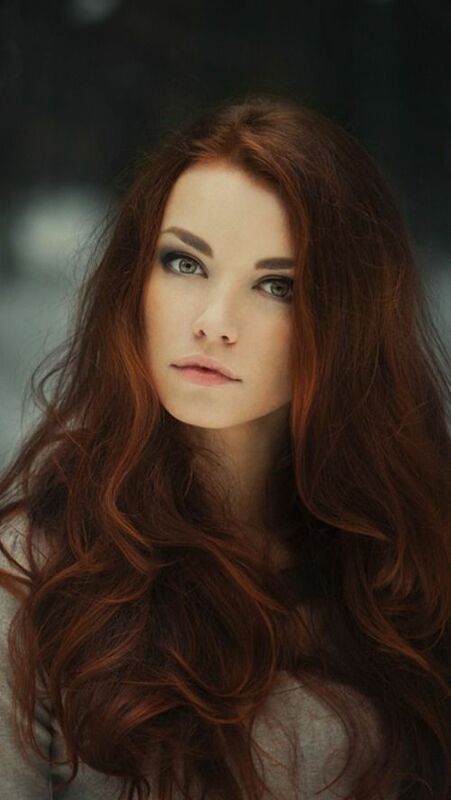 Hair Color: Wet or Dry? Submitted by cosamo_admin on Thursday, July 11, 2013 - 10:16. Jackie, NYC, "Can you put hair color on wet hair? Or does your hair always have to be dry when you color it?" In general, hair dye should be applied to DRY hair. Dyeing wet hair will only dilute the hair color mixture although there are some exceptions because some brands explicitly say wet hair. You should always read the directions thoroughly before dyeing your hair. Each brand and each box of hair dye is different. Read more about Hair Color: Wet or Dry? Submitted by cosamo_admin on Friday, July 5, 2013 - 14:33. No more Fading Hair Dye! Sick and tired of watching your hair dye go down the drain? Here are 4 friendly reminders on how to prevent your hair dye from fading. 1. Deep condition: Cosmetic chemist, Ni’Kita Wilson suggests, “Deep condition your hair after you dye it to offset the damage from the process. It works every time." 2. Environment: The sun’s UV’s rays play a large role in fading hair dye, therefore whenever you go outside remember to protect your hair with a sun hat or umbrella. Even during the winter or cloudy days, sun-exposure is still present and still affects your hair color. The environment also includes where you live and how clean the air around you is. If you live in a big city, chances are the air is filled with pollutants; pollutants and chemicals in the air can cause hair dye to fade. There are some spray products that will aid in protection against sun-exposure. 3. Chlorine: It’s summer time which means people are diving into pools, but before you subconsciously dive into a refreshing pool, wet your hair with cold water. Also, work a smudge of deep conditioner into your hair and for extra protection, use a swim cap. Chlorine quickly strips the color from hair dye. 4. 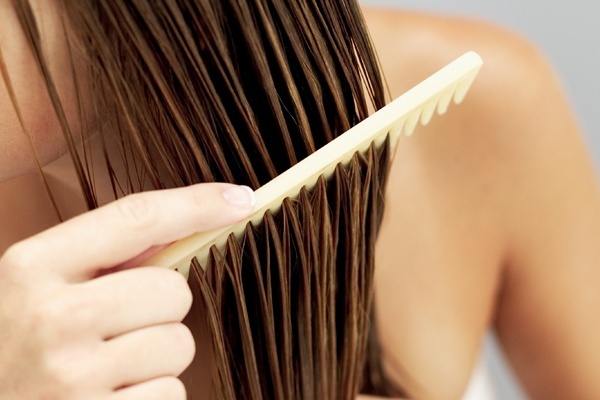 Washing Hair: According to WebMD, water is a major cause for fading hair dye because plain water dilutes the pigment. Washing your hair is the obvious, inevitable cause for fading hair dye. One suggestion is to invest in products that were designed for color treated hair. This will help prevent your color from fading too quickly. If you must wash your hair, lukewarm or cold water is a lot better than warm or hot water. Submitted by cosamo_admin on Friday, July 5, 2013 - 05:41. Looking to stretch your budget for hair coloring or root touchup in-between salon appointments? If dyeing your own hair at home seems scary to you, do not fret. Here are some do-it-yourself tips for home hair coloring. According to Women’s Health Magazine, the first step to coloring your hair at home starts before you even enter the drugstore to purchase your dye. You must first decide which formula you would like to use in your hair. There are three different levels of hair dye: semi-permanent (or non-permanent), demi-permanent, and permanent. Non-permanent is the least harsh for your hair, and usually does not contain some of the harsh chemicals that demi-permanent and permanent hair dyes possess. Also, a semi-permanent hair dye will last approximately six to twelve shampoos. If you are looking for a no-strings attached relationship with your hair color or you just simply like change frequently, then this is the type you would want to choose. Non-permanent deposits color and cannot lighten hair, but will gently cover grays. If you are looking for a longer lasting color, but do not want it to last forever, then go with a demi-permanent hair dye. These usually last approximately 25 shampoos. These are more commitment than the semi-permanent, but not as much as the permanent hair colors. Finally, if you are looking to go the whole nine-yards and are fully committed to the color or wish to lighten your natural color, then choose a permanent hair dye. This will last until you cut your hair or it grows out completely. Permanent hair dye is also the best bet when trying to cover grays; however, keep in mind that with permanent hair dye, you will want to ensure that you don’t miss any spots and that the dye is completely even. The thicker your hair, the more difficult this will be. If you want to be sure to have full and even coverage, maybe ask a friend to assist you when dying. Now that you have picked your formula, you need to pick a color. Marie Claire Magazine suggests that you stay within a range of three shades either lighter or darker. 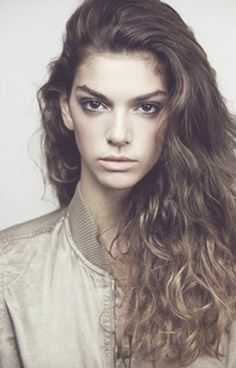 According to Rita Hazan of Rita Hazan Salon in NYC, “When in doubt, stay lighter.” It is always easier to darken your hair if it comes out light than vice versa. When picking your color, if you are unsure of your natural hair color hues, then refer back to older pictures of yourself from before you ever dyed your hair in the first place. See if you have either a warm, honey color versus a cool, ash color and go from there. Now you’ve finally made it to the final step of the process—it’s time to dye your hair. When coloring your hair at home—after you read the directions, of course—divide your hair into sections before applying the color. This will help make sure that you don’t miss any spots. Also, rather than using the applicator provided for you in the box, run to a local beauty supply store and purchase a mixing bowl and brush for the application. This will also help you maximize coverage. Always be sure to Care For Your Hair! After dying your hair, make sure you keep up with deep conditioning in order to optimize your results and keep your hair healthy!